Indore has a population of 2.72 million in 2001. There was an increase of almost 50 percent during the period 1991-2001. It has estimated 3.30 lakh workers in 1991 with 63.4% of the workforce in the tertiary sector. The workforce has increased at a growth rate of 3.64% per annum during the period 1961-91. The workforce participation rate was 28.9% in 1991. It had a registered vehicle population of 0.48 million in 2000 increasing at an average annual rate of 8.8 percent. Currently total vehicle population is 732893. The intra-city public transport system is essentially road based with an estimated 550 private minibuses and 500 tempos. On an average, 88423 vehicles move in and out, daily, at the outer cordon while 5,28,558 vehicles enter and exit, daily, through the inner cordon. Of the total traffic crossing the outer cordon, freight vehicles account for a share of 23% followed by slow vehicles and cars (14.4%). At the inner cordon, slow vehicles account for a share of 15 percent. While percentage of peak hour traffic ranged between 7.5 and 14.0 at outer cordon, it varied between 7.3 and 14.6 percent at inner cordon. An estimated 2,84,161 passengers enter and exit the city daily by various modes. Minibuses and buses put together contribute to a share of 60 percent of passenger trips. Majority of trips are made for the work, business and education purpose together accounting for nearly 76% of total trips performed. 71 percent of road length in central area had speeds less than 20 kmph. The average journey speeds on A B Road and Ring Road were observed to be 32.2 kmph and 40.1 kmph respectively. The city is presently being served by an estimated 300 minibuses along with estimated 150 tempos. An estimated 22,469 passengers use the regional bus terminals daily. Of the four bus terminals in Indore City, Sarvate bus stand accounts for the maximum share of passenger flow (65.33%). An estimated 61,192 rail users use the station daily. In all, 49 trains service the rail movement needs. 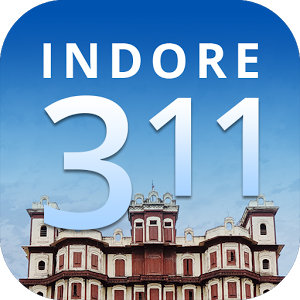 Average household income in Indore is Rs. 7524. On an average, a household in Indore spends Rs.600 per month on transport, which is about eight percent of household income. The average vehicle ownership rate in the study area is 0.88 vehicles per household with two wheelers and bicycles being the most commonly owned vehicles. An estimated 22.7 lakh trips are performed everyday in the city of which central area contributes 19.4 percent, while the rest of Municipal Corporation area contributes 76.4 percent and extension area's share being 4.3 percent only. The shares of personalized vehicles (cycles, two wheelers & cars) and public/IPT transport in the total trips are 51.1 percent & 16.4 percent respectively. Work /Business trips accounts for maximum share (38.1 %) followed by education trips (37.6 %). Shopping trips share was 28.4 percent. The average trip lengths observed were 3.8 km and 4.4 km including and excluding walk trips respectively. A population size of 42 lakh is estimated for the city by the year 2025. For employment, it was estimated that 13.44 lakh workers would comprise the workforce in the study area by 2025 giving a work force participation rate of 32%. Further, it is assumed that by the year 2025, nearly 63% of the total workforce would be in the tertiary sector while the secondary sector will account for 33%. An estimated 62,85,950, passenger trips have been forecasted, for the year 2025, comprising 55,03,000 intra-city trips while the rest comprise of inter-city passengers. An estimated 27,51,825 trips by public transport has been forecasted for the horizon year. By year 2025, at modal split of 50% and with an estimated average trip length of 6.02 km, it is estimated that 16.5 million passenger km would be performed daily by public transport. According to traffic estimates, a total of 5.5 million person trips would be generated every day by 2025, of which the share of public transport trips would be 2.75 million trips. The average trip length by bus is 5 km. In order to overcome the traffic problem of future, it was decided to introduce a better public transport system in the city.